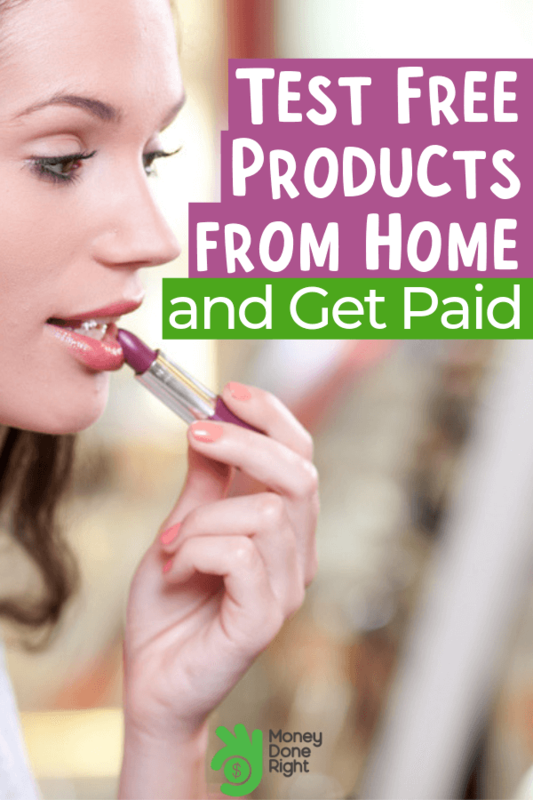 Did you know that you can get paid to test products from the comfort of your own home? Product testing comes in a variety of forms to suit your specific lifestyle and preferences. The idea of getting paid to test products may sound gimmicky. Can you really get paid to test products at home? The answer is yes; legit product testing exists. It can be a lucrative way to make some extra money from wherever you choose to work. How Do I Review the Product? Why Does Product Testing Exist? Ready to Start Legit Product Testing to Make Money from Home? For many just learning about product testing, there is some basic information you need to know in order to make money in a safe manner. You need to know what product testing is, how to get the products you will be testing, and how to review the products. Knowing why product testing exists in the first place is also beneficial knowledge to have. Perhaps most importantly, you will need to have an idea of how much money you get paid to test products. Product testing is when companies offer to pay or compensate you for testing a product or service for them. Often, you can test products at home. To complete the transaction, you use the product or service then review the process or product quality. Product testing is similar to something you may already be familiar with — online surveys. Paid online surveys are similar to product testing, involving a person who gives their opinion on a topic, product, or service. However, online surveys differ from product testing in two key areas. Online surveys are not always paid, nor do they involve product testing. Product testing always involves a product or service which is the subject of the test. Also, product tests are usually paid in order to motivate people to go through the product acquiring process. There are a few different ways to test products at home. Essentially, there are two methods for getting the products: you going out and getting it or the company bringing it to you. For the instances where you go out and get the product, it may be as easy as buying the item they’d like you to review, for which you will be compensated. Other times, companies that cover a broader range of products may ask you to scan the products you are buying naturally. For this, you will need to have a way to get to a store, as well as an Internet connection to upload your review of the product. They will then send you surveys based on what items are of interest to them. In these cases, they may send you a barcode scanner or have you download a phone app in order to pinpoint which specific product you are using. Of course, the most hassle-free product testing method is when companies opt to send a product right to your door. For this, you will just need a permanent address and an Internet connection to upload your review. This is an excellent option for those of you who work from home. The best part of companies sending you products is that they will often let you keep them! They may be doing it out of the goodness of their heart (or they don’t want to pay return shipping on a used product); either way, free products are great! Usually, using the product or service is all that is required of the testing phase. The products are most likely being tested for their natural use. For instance, if you are testing a dishwasher detergent, you would use it normally, then answer questions and provide feedback on its quality and use. Some questions might be: On a scale of 1-10 how clean did the dishes turn out after a wash? Were spots left on the glassware? Were any crusty residues left on silverware? How would you rate the smell of the detergent? Would you recommend this product? These questions are provided by the testing company online. You just need an Internet connection in order to access the questions, fill them in, and then send them back. Price varies wildly depending on a variety of factors, such as: the company, the product, difficulty of use, length of time to complete test, and length of time to complete the review/survey. Prices can be as low as $1 and as high as $50 per test. Of course, there are also product testing opportunities that offer more than $50, but they require more extensive work, or are a specific test for a well-funded company. There are five main ways that product testers are paid: coupons, redeemable points, sweepstakes, gift cards, or cash. Perhaps the easiest way for a company to “pay” you is by gifting you a coupon for a future product from their company. This works well if you naturally buy from that company all of the time. Many companies may award points for each product test. Then, you can redeem those points to “buy” products they have on their website or elsewhere. Sometimes those points can be applied to prizes or sweepstakes, where you enter to win items that are much larger than the price at which your test was worth. The catch is that there is no guarantee that you will win. Gift cards make it convenient for a company to send money through the mail or via email. The catch is that not all gift cards are to Amazon or other commonplace vendors. Gift cards to smaller sites or stores may be harder to use. The final option is to receive cold, hard cash. Well, you don’t actually get dollar bills. Instead, the company will usually pay you via PayPal, and you can either use the money to buy things online or transfer it to your bank account. Product testing for money exists because companies need information on their products. It’s that simple. Often, testers will be used to find flaws in products before fully launching to the public or to improve products that are already released. The companies need to collect data from a range of people from different geographic locations, economic backgrounds, genders, income levels, and so on. The more information they have, the better view they can obtain of their potential target audience. Companies use this information to investigate the reasons behind negative reviews. Once they know the problem, they can then go back to the drawing board and find a solution to make it a better product. A company’s end goal is to sell their product. If their product testers are reviewing negatively then they know they have a big problem and can fix it before it becomes too much of a monetary loss for the company. Now that your questions have been answered, let’s get into the ways you can test products at home and make money from home in the process. As always, these are trusted sites, with good reviews and excellent track records so you can work without worry. The National Consumer Panel (NCP) is a subdivision of Nielsen (a market research company), which works in conjunction with IRi (an international data analytics and market research company). Those who become NCP panel members are asked to scan barcodes of their shopped items and provide feedback. NCP is interested in the products people really purchase during shopping trips. They want information on all shopped items, via barcode. They are also interested in purchases without barcodes such as fruits, vegetables, meats, bakery items, gas, or prescriptions. They send you a barcode scanner or ask you to download the NCPMobile App in order to scan barcodes more accurately. Information is gathered once a week. NCP also asked panels members to fill out surveys on the products they have bought and tested. Special studies also become available from time to time, which can earn you even more. By sharing your data with NCP, you earn points. Those points can then be redeemed for gifts, gift cards, and sweepstakes entries. The best features of the NCP program are that it takes relatively little time to register and the company is well established within the online product testing and survey world. Click here to become a National Consumer Panel member and turn your shopping trips into money. PineCone Research, a company operated by market research company Nielsen, focuses on product testing for goods yet to be publicly launched. When you sign up to become a PineCone Research panelist, you typically receive merchandise in the mail and then complete a survey on it. You are compensated $3 for each survey. In addition, your name is added to a sweepstakes, with prizes ranging from $500 to $4,500. The best features of the PineCone Research program are that you can test new products, they are delivered right to your door, and sweepstakes are a lucky bonus for those who win. Click here to become a PineCone Research panelist to test products, fill out surveys and get money. SwagBucks calls themselves the “web’s most popular rewards program.” They focus on both retail and electronic media. A few of the tasks you might complete when you become a product tester for SwagBucks is to test specific electronic media by watching certain video playlists or playing games. They use a mobile app to provide surveys that need to be completed when products or experiences have been tested. You can earn points that can then be redeemed for gift cards from popular retailers such as Amazon or Walmart. You can also turn points into cold hard cash back via PayPal. The best features of the SwagBucks program are that the tests are interesting, the surveys are mobile-friendly for those on the go, and money is earned through a variety of easily-accessible means. For more information, check out our SwagBucks review. Click here to join SwagBucks and earn money by watching videos and playing games. Anyone signing up using this link will receive a $10 bonus! American Consumer Opinion (ACOP), founded in 1986, is a global network of more than 7 million users who get paid to express their opinion by participating in surveys and research projects. ACOP holds several surveys per year, on topics ranging from advertising campaigns to new product ideas and more. The platform allows users to also evaluate new products and contribute their ideas to optimizing existing products and packaging. You can sign up to become an ACOP panel member for free. Participation is rewarded with 100 to 5,000 points (one point equals a penny) per research project or survey, depending on how much time it takes. Some of the best features of ACOP include: direct PayPal payments, ability to use points to enter sweepstakes for cash and prizes, or the possibility of donating your rewards to your favorite charity instead of cashing your points. Click here to join the American Consumer Opinion worldwide community and make extra money by contributing your opinion on new products, advertising campaigns and more. BetaTesting, formerly known as ErliBird, is a company that focuses on beta testing new products before general release. For those who want to test new products for money, BetaTesting is an ideal site built for early adopters. Their common product tests involve new apps, websites, and hardware. When you sign up to become a part of the BetaTesting product testing community, you’re going to earn $10 per test or more, with up to five opportunities per month. All payments are made via PayPal one week after the end of a project. The best features of the BetaTesting program are the chance to get your hands on cutting-edge products not yet on the market, as well as the easy-to-use PayPal payment method. Click here to become a member of the BetaTesting product testing community and earn money by trying and reviewing apps, websites and products. Johnson & Johnson’s Friends & Neighbors Consumer Perception Program is built around testing personal hygiene products and creating discussion forums to create improved products. Those who become a Friends & Neighbors Consumer Perception Program member will test products at home and keep them (such as shampoo or makeup) or be asked to give their suggestions for products akin to what they’re currently using. As for payment, it seems that once a survey is completed, they contact you with a “token of [their] appreciation,” which some say is a prepaid VISA card. The best features of the Friends & Neighbors program are getting to keep the products you test at home and being able to test new products for money that aren’t even on the market yet. Click here to become part of the Friends & Neighbors’ Consumer Perception Program and earn money testing products. Famous for their spices and seasonings, McCormick also has a panelist program for their food, spices, and drinks testing. For people interested in becoming a McCormick panelist, you must be ready to be a product tester from home. They will send food, seasonings and, even beverages right to your door. Then, you can test new products at home and keep them, adding them to your kitchen ingredients. Filling out a quick follow-up survey will then garner you between $10-$15 worth of Amazon gift cards. The best features of the McCormick panelist program are that the products are delivered to your door, the company is extremely well-known and their products are tasty, and payment is given via Amazon. Click here to become a McCormick panelist and make money testing food, spices and drinks. Vindale Research is one of the most lucrative product testing platforms in the U.S. It is one of the few online research firms that pays users in cash only for testing new products, taking surveys, and more. The company offers access to numerous product testing opportunities and hundreds of daily paid surveys on topics such as politics, new technology, sports, health and beauty, travel, and others. Vindale offers new users an instant bonus on sign up, and pays up to $50 per survey. Payments are made in cash only and can be claimed via check or PayPal, without any hidden shipping or processing fees. The platform allows members to complete product testing questionnaires and other surveys on any device, has a full-service support team ready to assist with any issues, and is continually expanding its survey portfolio. Check out our Vindale Research review for more information. Click here to sign up for Vindale Research and start making real money by taking surveys on products, services, and countless other topics. There are a few tips to keep in mind when testing products for money. First, don’t give out your personal information like bank details. Most companies use point systems, gift cards, coupons, or PayPal for this exact reason. No one wants their bank account to be hacked. Second, consider getting a new email exclusively for product testing. Companies may send out updates every time an opportunity becomes available. To avoid a flooded inbox, a new email may be necessary. It also helps compile all offers in one place. Are you looking for a way to test products at home and keep them? Does the opportunity to test new products for money sound interesting to you? Become a product tester! Product testing can be a relaxing way to operate a side hustle, or make extra money in your spare time. It is convenient and lets you be in control of which products you test. If you’re looking for a way to kill time or make extra money or both, this may be the answer for you. The opportunities listed above will help you start your product testing journey as well as give you all the tools necessary for success. If you have any questions or comments, feel free to leave them below so we can get back to you or tailor a follow-up article. Best of luck with your product testing!